Ever since Julian Fellowes enthralled us with his saga of post Edwardian era English aristocracy – Downton Abbey, many of us have been accustomed to merrily living the early 20th century life in our minds. Our fascination has taken fondness for tea gowns and hats, afternoon tea and dressing up almost four times a day as if it were convenient let alone real. 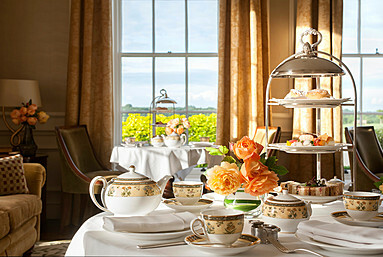 But there is a very real tradition from the Victorian era followed even today – English Afternoon Tea. What stemmed from an elite drawing room, has now percolated down to the very capillaries of society where, when the clock strikes four our attention is involuntarily drawn towards a kettle brewing the addictive amber liquid ready to be sipped with some light snack. In this article I revisit my knowledge of the tradition and thaw out some of the notions of ‘hard-to-fathom’ etiquette. I hope my fascination is only a reflection of millions of other tea lovers out there. A caveat, this is going to be a long yet informative read so do enjoy a cup of tea with scones while you go along. History of English Afternoon Tea: History is an interesting archive of events and it’s credibility is purely dependent on who is narrating or documenting it, unless witnessed by a population. 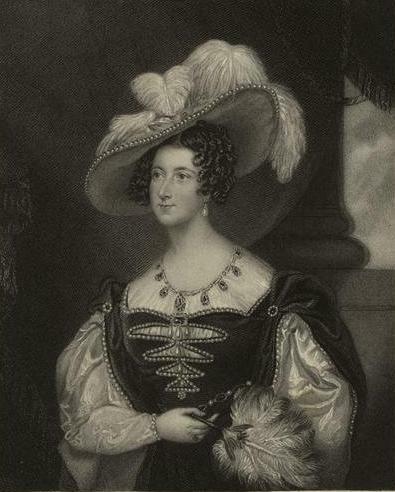 The fact that the tradition was invented by the 7th Duchess of Bedford, Anna Maria Russell who also happened to be Queen Victoria’s Lady in Bedchamber is undisputed. However she didn’t introduce tea to the English society, she just made its consumption with a tray of bread and cake seem like a celebration organised for a select few. Almost everyone who knows the history of this tradition will dance within the perimeter of this version. 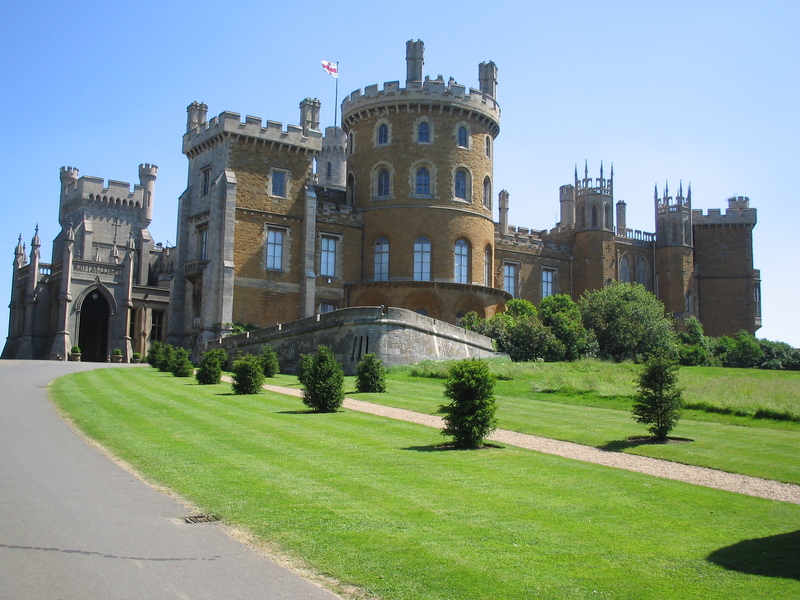 The duchess was visiting Belvoir Castle in the early 1840s and back then it wasn’t considered usual to be engaging in more than two meals a day including breakfast and dinner. In the early to mid 1800s the trend of a light luncheon had been accepted in the high society. Enduring the hunger pangs until seven in the evening was customary and dignified. Contrary to the norm, Anna Maria Russell complained of a sinking feeling around 4 in the afternoon and experienced hunger pangs. She requested for some tea with a very light refreshment like bread or cake, only to sustain her till dinner. 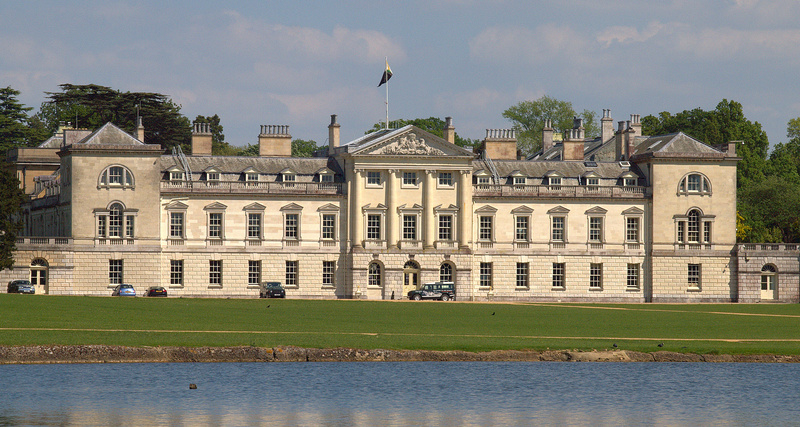 During her stay in Belvoir she grew fond of this habitual tea and snack service and continued it in her residence, Woburn Abbey. Initially she would organise the tea in her bedroom under secrecy but gradually she began inviting some of her friends from the society with a card saying “ Afternoon tea with walking the gardens”. 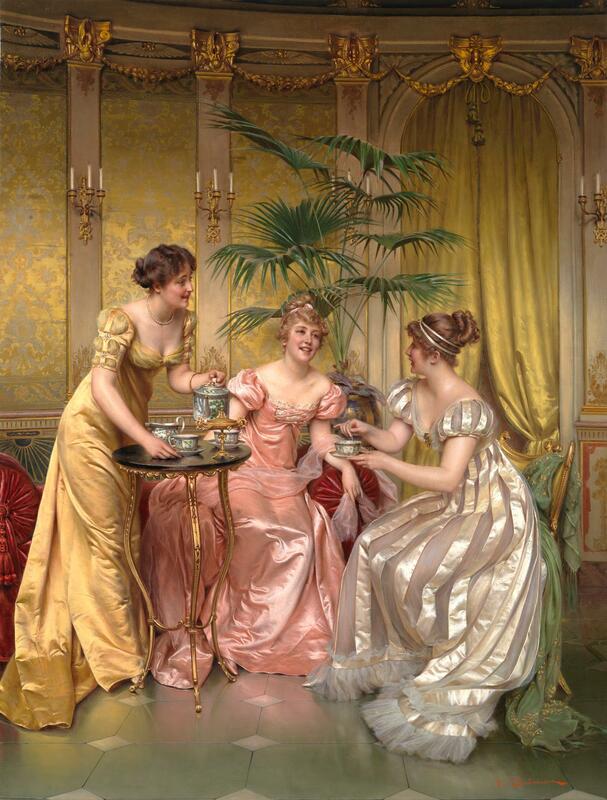 The aristocratic ladies had been accustomed to the invitation and now began their own afternoon tea parties. The customary habit of tea in the afternoon brought the hidden affaire out to the drawing rooms of the elite, with a stamp of approval from Queen Victoria. The monarch herself conducted afternoon tea parties to return back to the social circle after the death of her husband Prince Albert. This is when the gentlemen too accepted invitation to the garden parties. The tradition later grew out into tea shops everywhere in London. The 1920s saw the burgeoning trend spread across the waters of Britannia. There is a common mistake made unanimously by people calling afternoon tea as ‘high tea’, that’s purely as incorrect as lunch being referred as dinner. High tea is an Irish term that was invented for the hardworking labourers who would require a hot cuppa with a good portion meal after returning home in the evening around sixish. Afternoon tea is also known as low tea because unlike high tea it is around lower time of the day and that it was taken around armchairs or sofa in the drawing room which obviously had low tables. Elements of Afternoon Tea: From its very nascent stage this tradition was always about indulgence whether under a guise of food cravings or high society gossip. The elements of a traditional English afternoon tea were like characters of a saccharin drenched musical play. The elegant exhibition of food and crockery strikes you at the very glance. The linen and laces on the table, glint from the silverware, the decadent chinaware and of course the showstopper three tiered cake stand dressed with finger sandwiches, savouries, scones and cupcakes. The menu has traditionally been a three course affair beginning with finger sandwiches primarily cucumber, egg mayonnaise, cress, fish or ham and smoked salmon. There can be other savouries too and then there are scones or bread accompanied with clotted cream, jam, marmalade or butter. The cakes and cupcakes are the finest pieces on the menu with creativity abound chefs usually use the desserts to decorate the afternoon tea tray for the glamour it represents. Though silver service was always the order to follow among the high society, on a regular afternoon tea it isn’t a prerequisite. 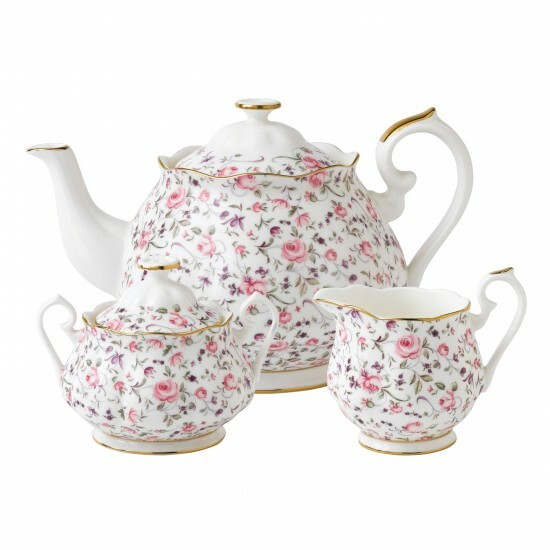 However a complete China tea set must be included to take a traditional route. This includes, a classy tea pot with a creamer for the milk, a sugar bowl, a hot water pitcher, a small plate for lemon slices, a strainer with a holder for the strained tea leaves, caddy spoon to transfer tea from the caddy into the pot. Mote spoons are also used to separate the stray leaves. There will be forks, dessert spoons, butter knife and small plates for the service. Tea cups and saucers are placed next to the plates with cutlery. Afternoon Tea etiquette: Being a Victorian tradition, is it any wonder that there are stringent etiquette to follow? Stringent maybe, but tough to fathom they are not if you really wish to understand the logic behind every do and don’t. Once you know the logic it will surprise you how simple it truly is. Dressing up for a social tea party and having a polite conversation without messing your attire or table is all that’s expected from you, nothing grand. Traditionally the time for afternoon tea is four o’clock and must end well before dinner time. Some hotels have taken liberty to stretch it from three to six, but think again why would you be ready to have afternoon tea at three considering your lunch ends perhaps at one or two o’clock? Invitation: Etiquette begins with invitations of course and these need to be placed a week prior to the saved date through handwritten calligraphic letter or engraved. These days an email invitation card can be sent, but do indulge in creativity, after all it is the English afternoon tea. RSVP on telephone or mail should be done, and inviting your closest friends to support you as ‘the pourer’ is considered a social honour and being in the good graces of the hostess to entrust as a guardian of the tea pot. Table setup: Table setup is undoubtedly executed in a prim fashion whether in your own home or at a tea salon or a hotel venue. Every seat setting must have their own knife or butter spreader on the right side of the plate and a fork on the left. A teaspoon may be placed on the saucer holding the cup or to the right of the knife. The three tiered cake stand or a two tiered cake stand with a separate cake stand is placed on the right side for an intimate seating while the teapot and tea are to the left side. If there is a larger table set up there will be many small tiered stands placed well within a set of guests for the ease of reach. Seating: It is a lady-gentleman way of seating traditionally unless it is all ladies table. In the era when unmarried couples never met without a chaperone, the occasion of afternoon tea or dinners were seen as an opportunity to be seated next to each other for catch a conversation. The hostess will initiate the conversation from her right and then her left during the next course. The others follow the right and left rule as the conversation and courses go along. Napkin: Once seated a tea napkin should be placed on your lap and its lower corner should be used to gently dab your lips when required. The reason why the lower corner is used is simply to avoid the display of a soiled napkin to anyone seated close to you or the wait staff. If you need to leave the table for a particular reason please do ‘excuse’ yourself and place the napkin on your chair not the table if you are returning. A napkin is placed on the left side of your plate once you are through the tea and after the hostess has signalled the conclusion of the tea when she places her napkin on to her left side of the plate. The hostess does this only after seeing everyone at table are done with their tea and cake. When placing the napkin back on the table it is picked by the center and not refolded as it is used and only unused napkins are folded not the other way round. How do you like your tea? : Now comes the actual tea etiquettes and they are very simple and obvious. Who pours the tea? Good question! The wait staff may place the teapot close to the hostess or the pourer and whoever is the closest to the teapot has to do the honour. First add one spoon of loose tea leaves per person to the teapot with a caddy spoon, then follow it with the boiling water and let the leaves expand in the hot water. Give it 2 to 3 minutes of steeping. Then rest the tea strainer on the rim of the cup and hold the cup and saucer in your left hand while pouring the tea from the right hand. Never have any staff pour tea as it is like mentioned before a social grace and honour practiced by the pourer or hostess. What goes first tea or milk or sugar? Cardinal rule is tea goes first and the reasoning behind it is this allows the pourer to see the strength by it’s colour without any other interference from other ingredients. The pourer must pour one cup at a time and check with every guests how would they prefer their tea in strength and then ask for sugar, milk or lemon. If the guest requests for a plain tea, no other addition to the tea is made. If they request for a weak tea, do pour hot water to it. Never pour the cup up to its rim, just three quarters of the cup should be good. This allows more room for milk or lemon slice to get in without any spills. After the tea sugar goes in first before milk or lemon so that it dissolves better as the citric acid won’t allow it dissolve completely. Either you take lemon or milk and never both unless you fancy a curdled tea. The guest must receive the teacup and saucer with a spoon placed on the saucer from the hands of the pourer. Lemon are always thinly sliced and sugar is always in cubes to avoid any spillage of the granules on the saucer. Do not fiddle with the lemon slice in the teacup and never place it on a saucer to avoid your cup surrounded by a tea puddle. There is nothing more messier than playing with the lemon slice not to mention you are showing signs of not being involved in the conversation with others. A teacup should be stirred gently with a spoon back and forth around the center without touching the rim to avoid any noise. Place the spoon back on the saucer at four o’clock position. Spoon is to stir not to be left in the cup not to be used as a device to make noises. Always hold the cup by its handle with your thumb and index finger and no pinkie on top. Look into your cup while sipping not over it to be seen polite. 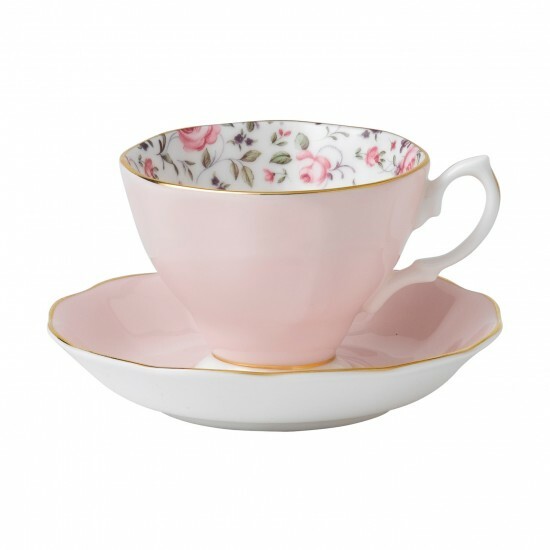 Always hold the teacup and saucer in your hand while sipping tea and never cradle the cup in your palms or hold it outside the handle. Leave the swirling to wine tasting and not tea drinking please. All of the mentioned should ideally avoid spillage on the saucer, however should there be any spills just request for a fresh saucer and that should do it. Cakes and Savouries: The menu from the tiered stand follows three courses from bottom to top. First being the sandwiches and savouries, you must never use any cutlery to eat this course unless it is too big for you to hold within two fingers. It is called a finger sandwich for a reason, so guests can enjoy it by holding it with two fingers while sipping tea. Always choose to eat a small portion of each course in the first serving before you decide if you could have another helping along with the other courses. But going light at afternoon tea is what the concept was build on and not stuffing yourself with all-you-can-eat helpings. Second course is quite infamous for its do’s and dont’s but honestly its as relaxed as it can be. All you need to do is not cut a scone but gently tear it from the center horizontally with your fingers. Use a butter knife to spread the clotted cream and then the jam. Some might say the reverse with clotted cream being over the jam but that’s only because they are from Cornwall and not Devonshire, England. Cakes are the final course to be relished and for good reason, always save the best for last. I luke the helpful information you provide in your articles.